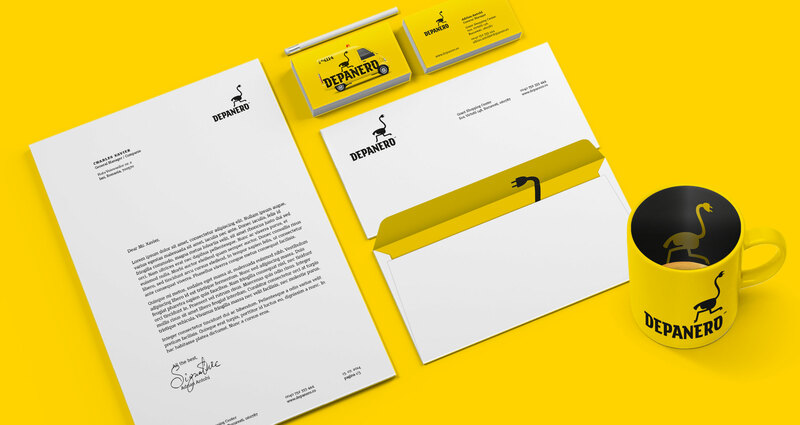 Visual identity for Romania’s leading player in the electronics repair services market. A post-communist booming demand for IT&C products gave birth to a booming after-sales services industry, with the promise of a reliable after-sales guarantee/service affecting actually the buying decision. 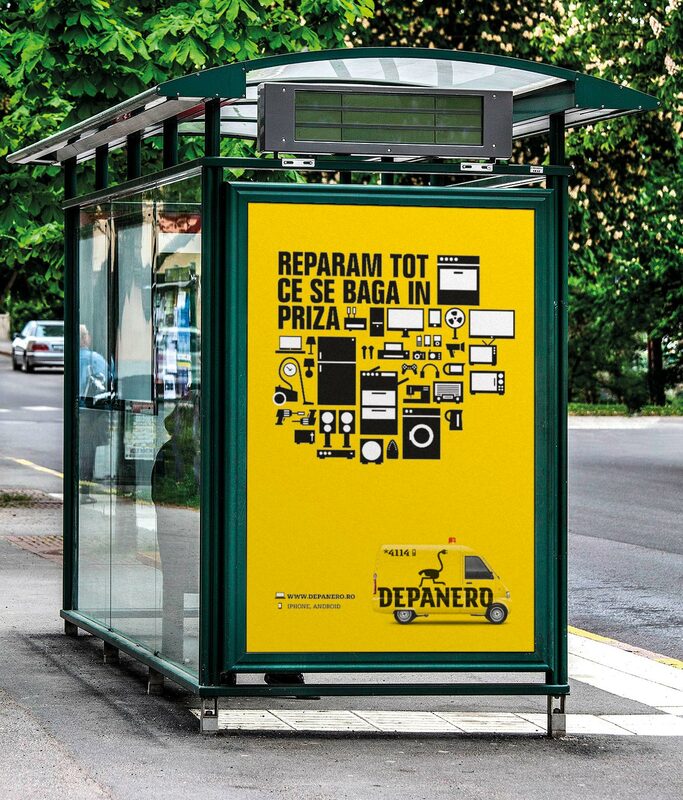 Within a few years of its launch in 2011, Depanero became the Romanian leader in the electronics repair services. The accelerated growth and national expansion triggered the need for a rebranding that would support the company’s new leadership position and customer-centric approach. 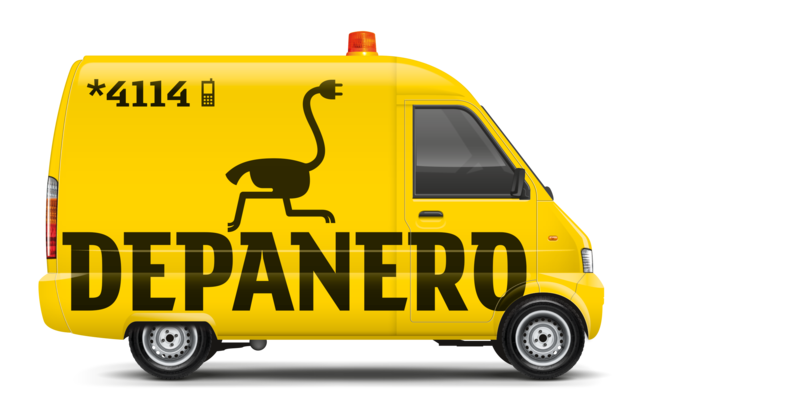 The new visual identity of the brand plays on a striking symbol — the running ostrich — suggesting the speed and promptitude with which Depanero technicians promise to solve a customer’s issue. 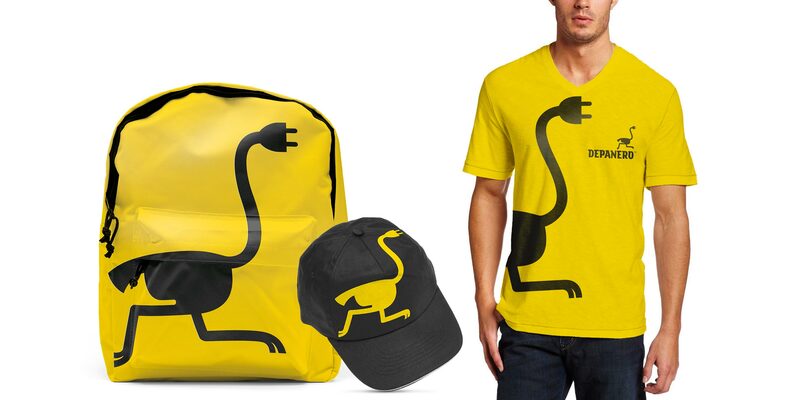 The symbol features an unexpected twist — the ostrich’s head is shaped like a socket — which supports the new brand’s promise: “We fix anything that connects to a socket”. The new logo is not only easy to decode, but also highly memorable — it radiates a cheerful, friendly, positive attitude, and helps customers relax despite the discomfort they often feel when dealing with the undesirable situation of defective goods. 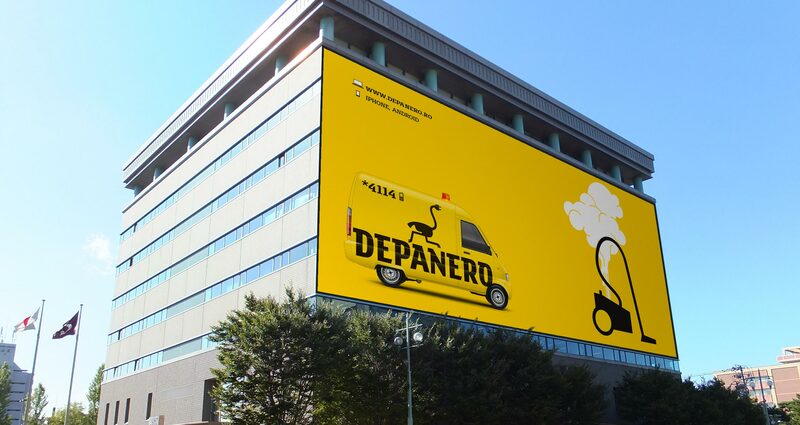 The visual platform further supports the brand’s visibility and memorability: the ‘utilitarian’ yellow & black colors represent an important brand property and align all brand manifestations. 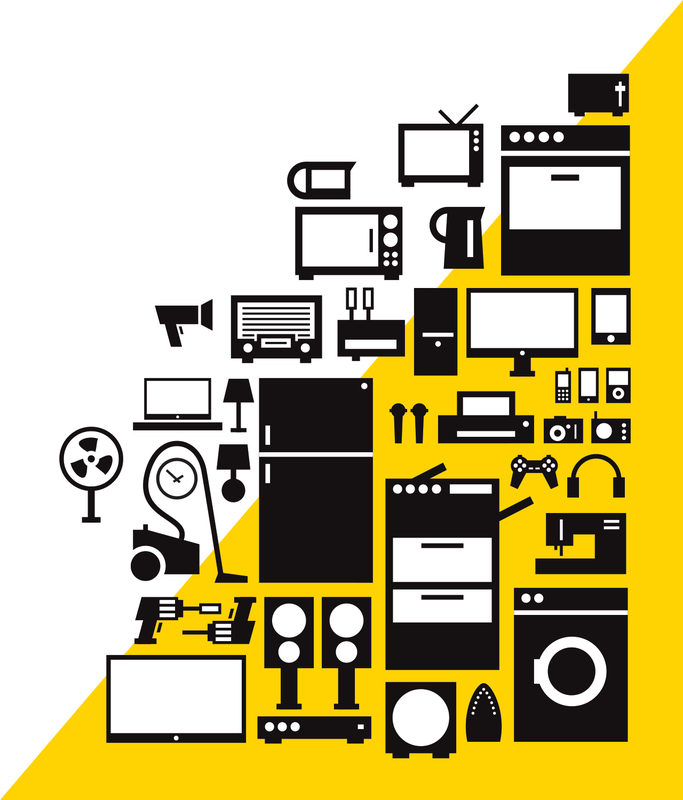 Icons were developed for easy communication of category and benefits. • Graphis Gold Award in 2017.